House Speaker Nancy Pelosi, long a fierce critic of Beijing, toured China's financial capital on Monday on a visit focused on environmental issues rather than human rights, though her presence emboldened protesters. Pelosi took a low-key approach as she prepared for meetings in Beijing just days ahead of the 20th anniversary of the 1989 crackdown on the Tiananmen Square democracy protests. The apparent shift approach dovetails with President Barack Obama's new emphasis on engagement with Beijing, rather than confrontation over its human rights record. Visits by Pelosi and other senior U.S. figures have been aimed at highlighting cooperation between the two countries on a slew of issues. Still, the leading Democratic lawmaker's reputation as a strong human rights defender galvanized petitioners in Beijing, where several hundreds gathered Monday morning near the capital's South Railway Station to air their grievances. Dozens of police stood guard and most protesters were kept behind police lines. While many complaints were about individual cases, photos posted on the Chinese-language Web site Boxun.com, a U.S.-hosted Web site banned in China, showed one group of demonstrators holding up a black-and-white cloth banner that said: "Welcome Pelosi. Pay close attention to human rights. SOS." Speaking to U.S. business figures Monday in Shanghai, Pelosi noted her commitment to human rights issues over the years. During a 1991 visit to Beijing, the Democrat from California unfurled a banner that read "To those who died for democracy in China" in the square. 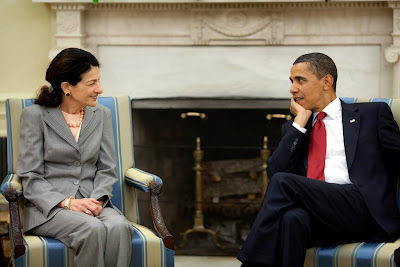 Years later, she attempted to present human rights petitions to then-visiting President Hu Jintao. When Tibetans staged protests against Chinese rule last year, Pelosi visited their exiled spiritual leader, the Dalai Lama. "I will continue to speak out for human rights in China and around the world," Pelosi told members of the American Chamber of Commerce in Shanghai. "Indeed, protecting the environment is a human rights issue," she said according to a copy of the speech distributed to journalists. "We hope to send a clear message that transparency, accountability, enforcement, and respect for the rule of law are essential if we are to protect our planet," she added. Pelosi did castigate North Korea after Pyongyang announced that it had successfully carried out an underground nuclear test, weeks after threatening to restart its rogue atomic program. "If today's announcement is true, these tests would be a clear violation of United Nations Security Council Resolution 1718, which requires that North Korea not conduct any further nuclear tests. Such action by North Korea is unacceptable and cause for great alarm," Pelosi said in a written statement. Pelosi said she and other members of her delegation planned to urge Chinese leaders to use their influence to get the North to return to six-nation talks aimed at ending its nuclear program. 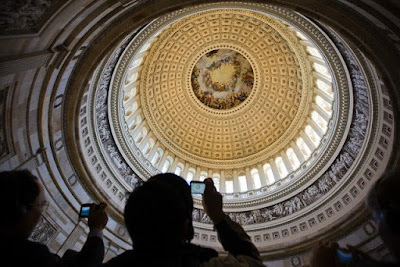 The lawmaker arrived over the weekend accompanied by a delegation of four Democrats and one Republican, all members of the House Select Committee on Energy Independence and Global Warming. The main focus of their visit is the shared goal of promoting clean energy and combatting climate change. 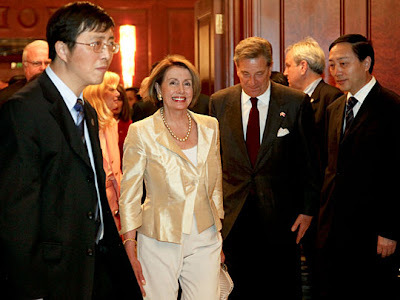 Pelosi met Monday with Shanghai Mayor Han Zheng. The two exchanged pleasantries but made no substantive remarks before reporters. The delegation will later meet in Beijing with Hu and other leaders. U.S. Senate Foreign Relations Committee chairman and Democrat Sen. John Kerry is also in China, and Treasury Secretary Timothy Geithner will arrive next week. He is expected to reassure Beijing about the strength of the U.S. dollar and thus the value of China's vast holdings of U.S. Treasury notes. Going a bit popular cultury here, but I am in love with Gossip Girl right now. 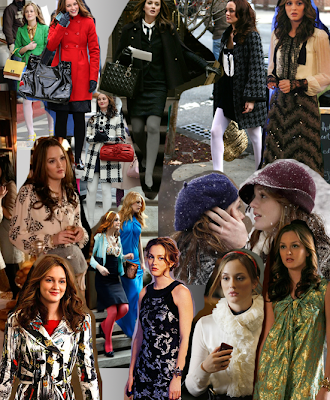 Without a doubt my favourite character is Blair Waldorf (Leighton Meester)- her style is flawless and divine. 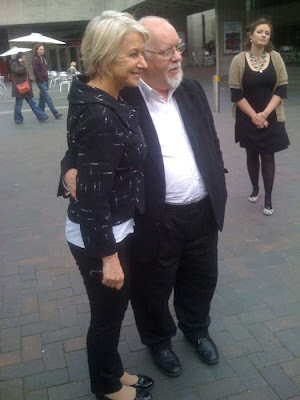 I also love Lily Van De Woodson but I shall save that till a future post. Meanwhile, enjoy this great Blair college I found on The Fashion Spot. 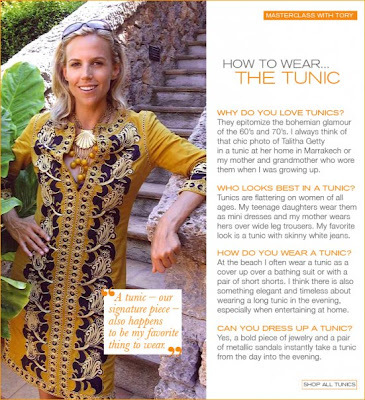 Reports suggest that Mrs. O will appear on the cover of Time Magazine, accompanied by a feature article and exclusive photographs by Callie Shell. 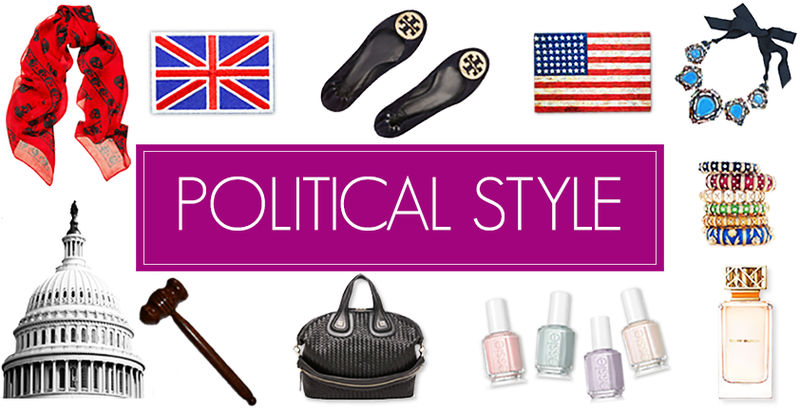 In partnership with Political Style, its sister blog, Capitol Hill Photography has been opened today. Featuring images of Capitol Hill as well as our representatives, plus some of my own photographs from my visits and times at the heart of our nation's capital. Be sure to take a visit. BOSTON — Two U.S. federal regulators who sounded early warnings on the financial crisis and a Liberian peace activist who helped end that nation's civil war were honored for their efforts Monday at the John F. Kennedy Library in Boston. Federal Deposit Insurance Corp. chairwoman Sheila Bair, former chairwoman of the Commodity Futures Trading Comission Brooksley Born, and peace activist Leymah Gbowee (LAY'-mah BOH'-wee) were presented with Profile in Courage Awards, annual honors named for a 1957 Pulitzer Prize-winning book written by John F. Kennedy. "(It's) a special honor to present the award to three women who have inspired all those who seek to bring about change in their political systems," said Caroline Kennedy, daughter of President Kennedy and head of the John F. Kennedy Library Foundation that administers the awards. Bair was one of the first to speak out about the subprime lending crisis, and Born warned a decade ago that unregulated financial contracts, including credit default swaps, could pose dangers to the economy. Gbowee organized a group of Christian and Muslim women to challenge Liberia's warlords. In accepting her award, Bair said she was proud to join the list of those who have received past Profile in Courage awards. "I'm particularly pleased to be joining two other female awardees who stood up when some of their male counterparts failed to act, or worse, actively fought them," she said. Gbowee received her award on behalf of the Liberian women who were featured in the "Pray the Devil Back to Hell" documentary about Liberia's civil war. "For us women of Liberia, this award is a call that we will keep walking until peace, justice and the rights of woman (are) not a dream," Gbowee said, "but a thing of the present." 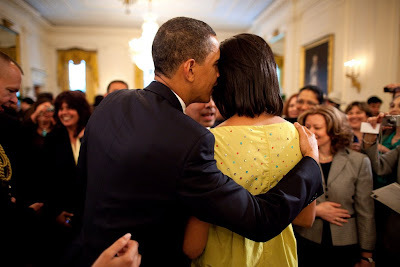 The official White House photographer, Pete Souza released a new batch of photographs taken over the past month yesterday. There are some real gems to be found, such as my three favourites shown above. 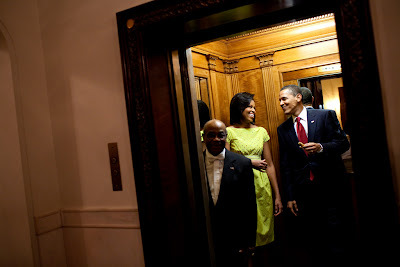 From top: The Obama's share a private moment in the Cinco celebrations, President Obama meets with Senator Olympia Snowe, and the Obama's on their way to the residence.